Excellent clarity in a durable design. 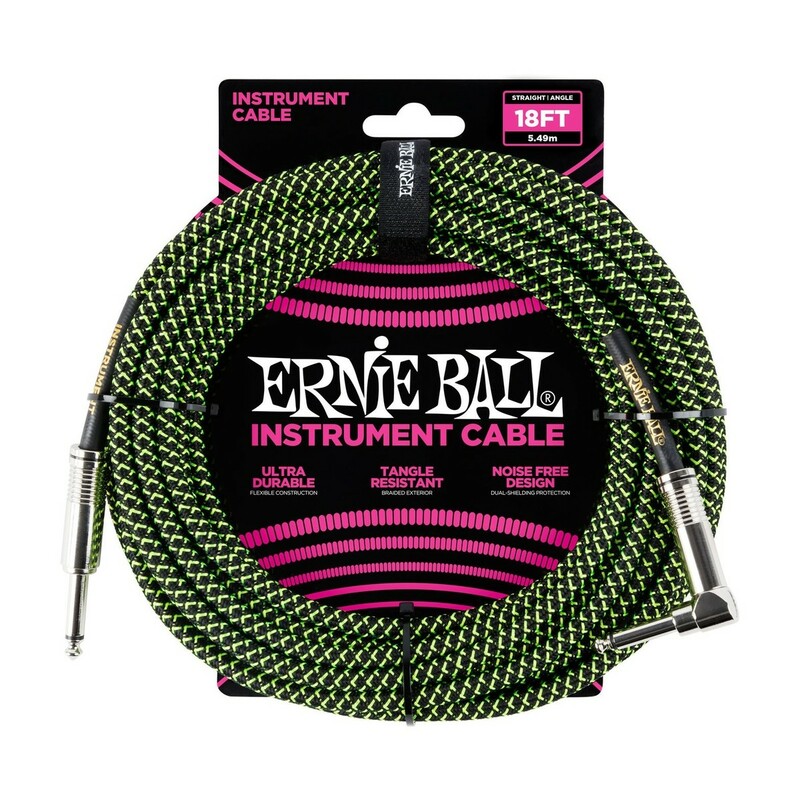 The Ernie Ball 18ft Straight-Angle Braided Instrument Cable is a premium guitar lead fit for both stage and studio. 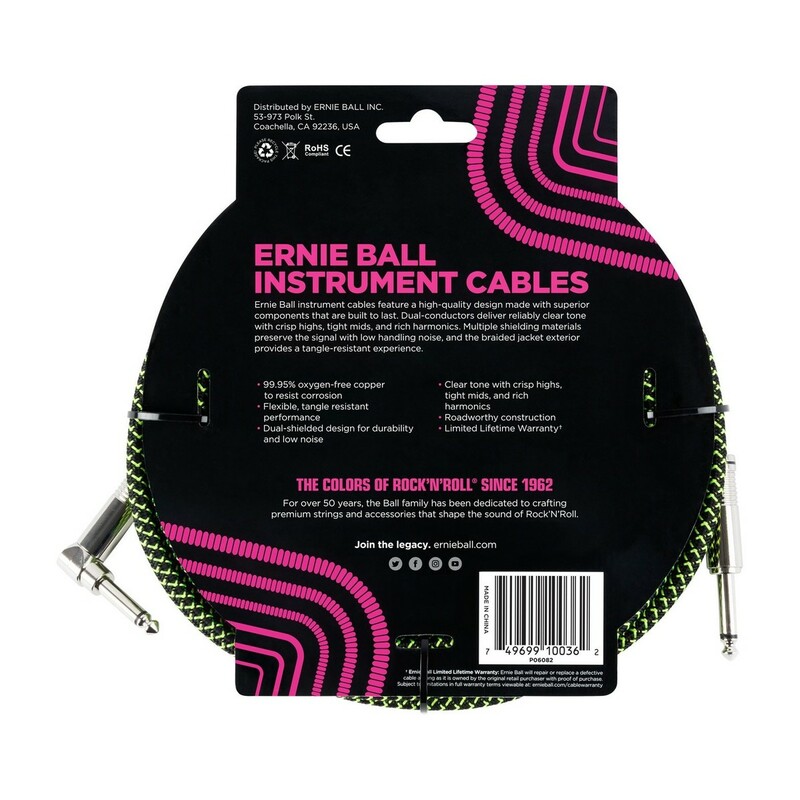 Its dual-shielded design minimises noise, ensuring your signal is always communicated with maximum fidelity.